Last week, we released a new feature that allows users to define the meaning of their own wizelines — and we have our customers to thank for the idea. You may be asking yourself, “Wait, what’s the wizeline?” Good question. Take a look at the roadmap below. 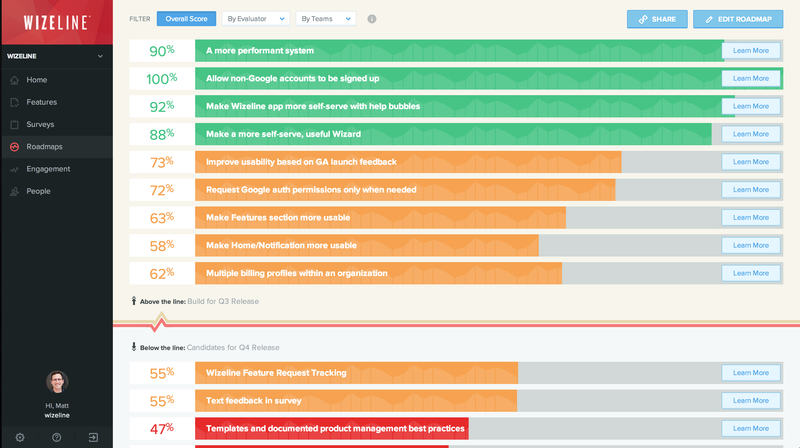 As you can see, Wizeline’s algorithm used disparate data to evaluate our backlog of potential product investments, and created a stack-ranked list of our top feature priorities — with a clear line drawn through the middle. That, ladies and gentlemen, is the wizeline. 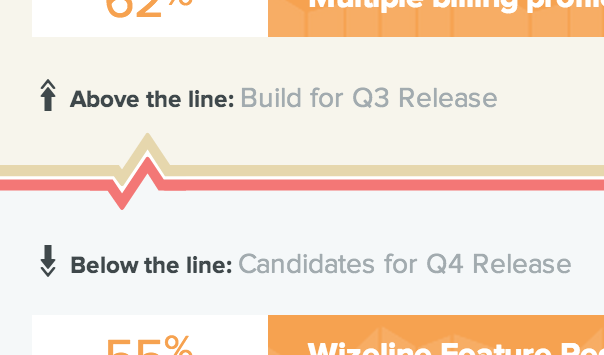 Technically speaking, the wizeline is the algorithmically determined boundary that divides features on a product roadmap into two groups based on relative priority. What we’ve recently learned from our customers, however, is that sometimes teams want their wizelines to take on a different meaning. Maybe it’s the demarcation between features they scope and features they will not. Perhaps it’s the line between strategic initiatives that are expected to deliver at least $50K in revenue and ones that won’t. It could even separate sandwich toppings that are most likely to be popular among your teammates from ones that will only disappoint. Whatever its meaning, we wanted to provide flexibility for our users’ use cases. Working with several of our customers, we gathered input and pushed the update. Check it out and let us know what you think! Posted by on Wednesday, June 25, 2014.